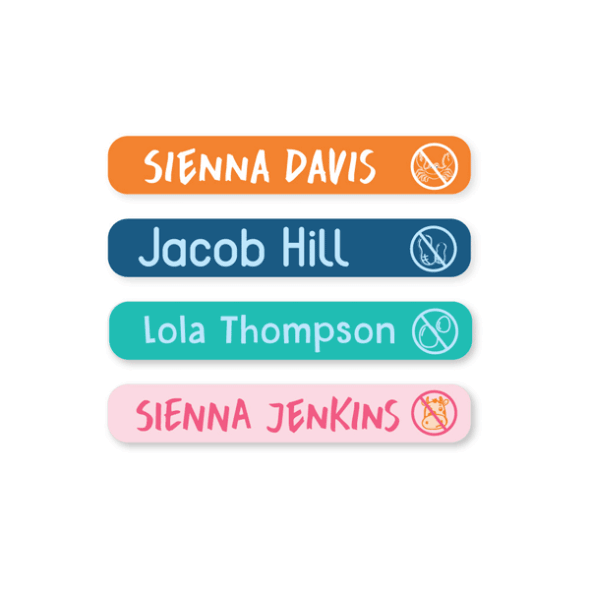 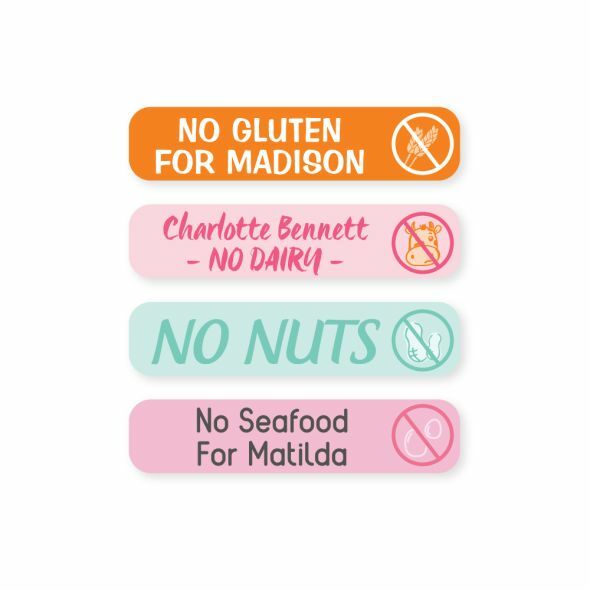 Our eye-catching labels will ensure carers, teachers, sports coaches, friends and other parents in the community are aware of your child's allergy. 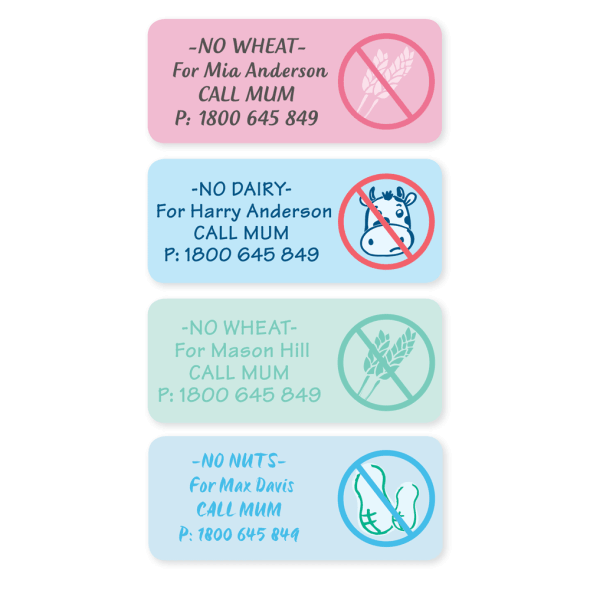 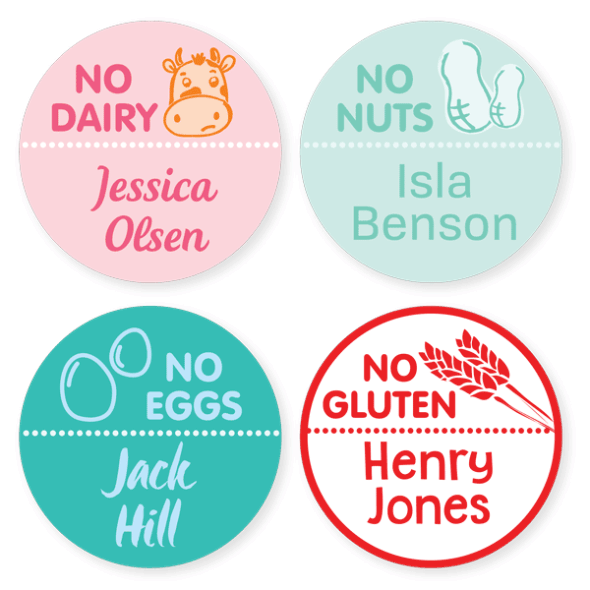 A bold label can also help remind your little one to be aware of their allergies when sharing food with friends. 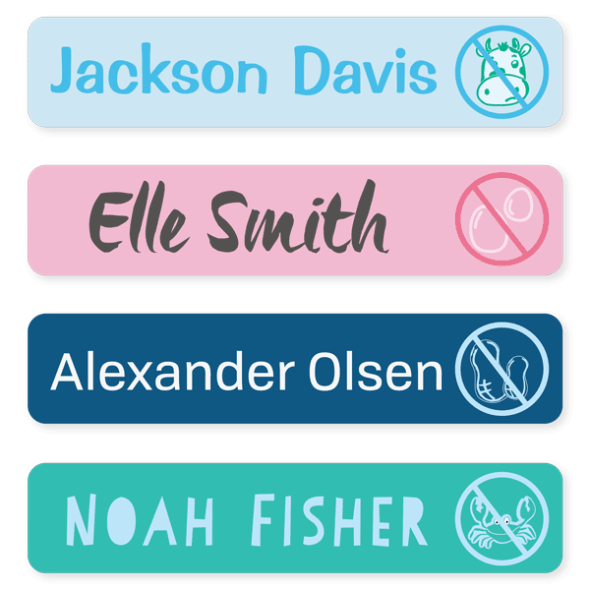 These ones are discrete but bright and attention-catching to ensure your children are always in safe hands. 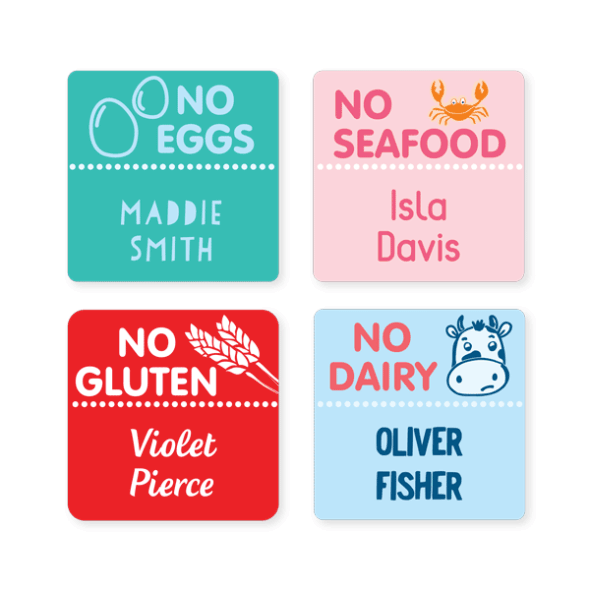 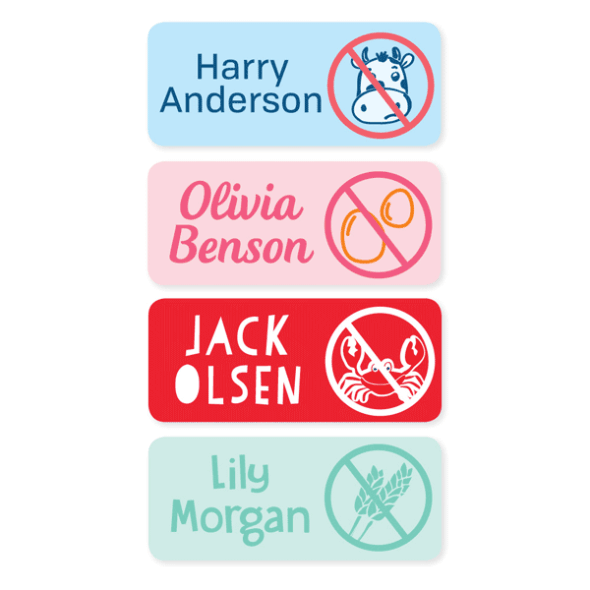 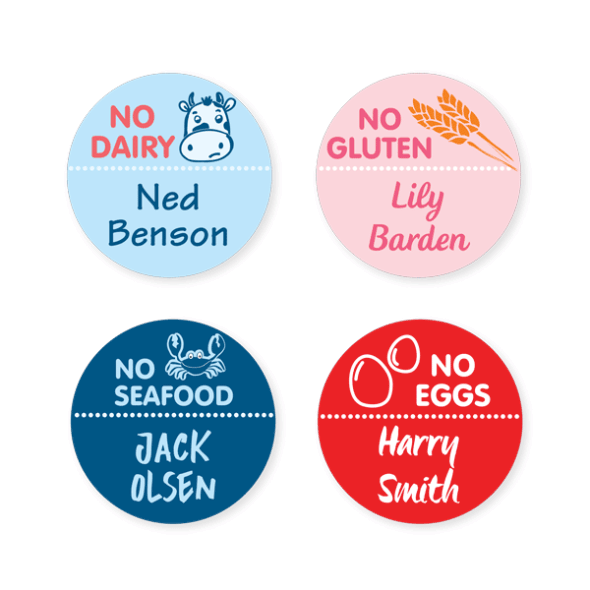 Type in your child’s name, choose a colour combination, pick a font then choose one of our allergy icons, representing 6 of the most common food allergies.